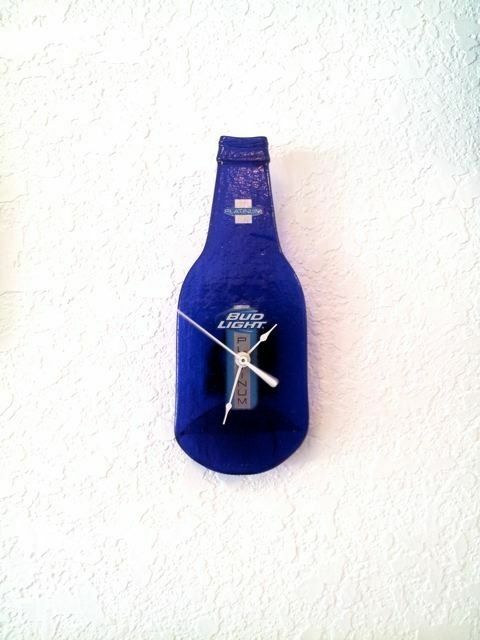 This Bud Light bottle clock brings class and down-home barroom funk to your man-cave, den, or playroom. 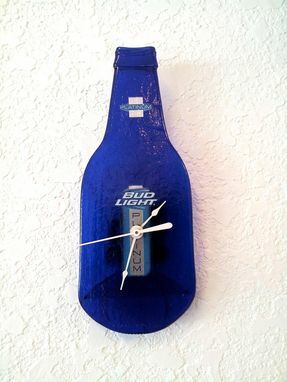 The cobalt blue of the flattened bottle spells sophistication, as do the white clock hands attached. This distinguished-looking yet original timepiece measures 9'' in height by 3 1/2'' in length.